For some reason Cartoon Network airs Steven Universe in week-long blocks of new episodes. 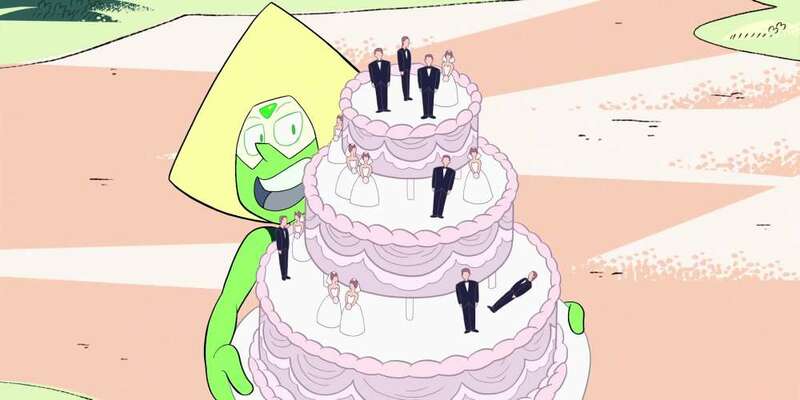 A new block is airing now, and it’s looking to be a big one, culminating in a huge Steven Universe wedding episode starring two of our favorite characters. There will be some spoilers ahead, so if you’re worried, you’ll want to stop reading here. Last May, when the last week-long block of new Steven Universe episodes aired, the central mystery of the series, the fate of Earth’s colonizer Pink Diamond, was resolved. It was an earth-shaking moment both for the fandom and the characters of the series. This week’s run deals with the fallout of that reveal as the Crystal Gems figure out how to process the new information. Garnet de-fused while Ruby and Sapphire went their separate ways to figure out where they stood after discovering everything they thought about their relationship was wrong. But in last night’s episode, Ruby realized that she still loved and needed Sapphire — and needed her, but on their own terms. 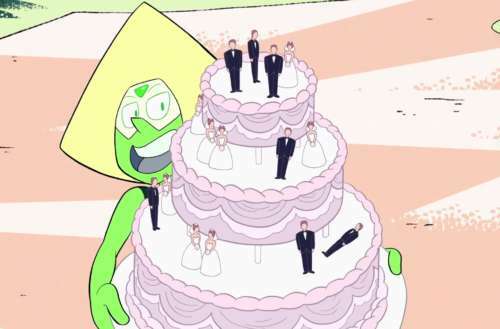 Are you ready for the Steven Universe wedding? “Reunited” airs Friday at 7:30 p.m. Eastern/Pacific.